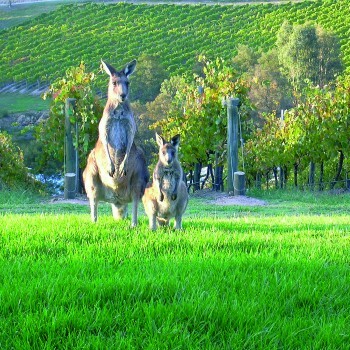 The area under vine in Australia has continued to fall in 2012, while there was a slight increase in production, according to figures released today by the Australian Bureau of Statistics (ABS) as part of the ABS Vineyards collection 2012. Since 2010, the total area of grape vines has decreased by 6%, falling to 145,000 hectares, while total wine grape production increased by 3% to 1.6 million tonnes, thanks to favourable seasonal conditions. The decrease in vine area was the result of challenging market conditions leading to the removal or abandonment of vineyards. However, this was offset by good ripening weather in many areas, which saw the overall average yield increase by 6% to 11 tonnes per hectare. Red wine production in southern and eastern Australia was affected by unfavourable rain conditions in 2012, resulting in a national decrease of 5% to 806,000 tonnes of red grapes harvested. However, as most white grapes had been harvested before the bad weather began, this had little effect on white wine production, which increased 13% to 776,000 tonnes. Shiraz, Chardonnay and Cabernet Sauvignon continued to be the most popular varieties, accounting for nearly two thirds of total production. There was also a 16% fall in the production of Pinot Noir (down to 35,000 tonnes), and a 17% rise in Tempranillo production (up to 3,400 tonnes) accompanied by a 15% increase in area planted. Pinot Gris production has increased by 28% to 50,000 tonnes since 2010. More than one-third of all vineyards were in South Australia, with the state representing nearly half (48%) of Australia’s total wine production. The ABS Vineyards collection 2012 is run on behalf of the Grape and Wine Research and Development Corporation (GWRDC).